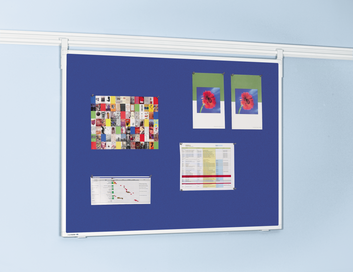 Legamaster wall-rail systems are available in various combinations to suit any situation, location or purpose. 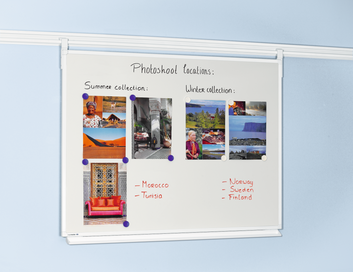 The wall-mounted rail provides the perfect space-saving base for a variety of presentation products. When it comes to designing your rail system, you have a wide variety of components to choose from. 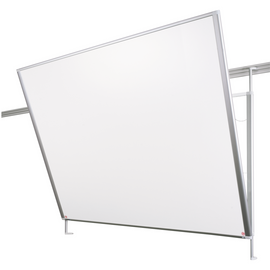 These range from whiteboards, pinboards and flipcharts to projection screens and a literature rack, to name just a few of the products suitable for rail mounting. 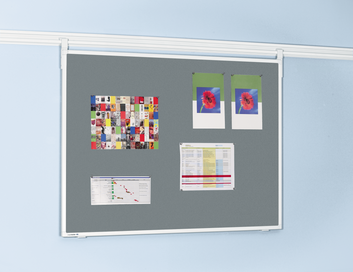 The components glide smoothly along the rail, over and under each other, enabling you to move and replace your presentation components with ease. 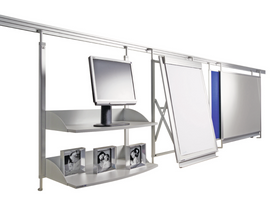 Want to find out more about our rail systems? Use the filter links to select the right features for your rail system. 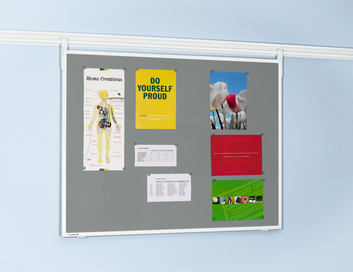 Want to find out more about our rail systems or have a question? Please contact us.